The White Lotus | Be Kind. We're all in this together. This is the last Will and Testament of me Helena Petrovna Blavatsky of Adyar, Madras, India. I desire my body to be burned in the Compound of the Theosophical Society’s Headquarters at Adyar, Madras, and the ashes to be buried in the said Compound and that none who are not Theosophists shall be present at the burning. I desire that yearly, on the anniversary of my death some of my friends should assemble at the Headquarters of the Theosophical Society and read a chapter of Edwin Arnold’s Light of Asia and Bhagavad Gita. 1. At noon, on 8th May, 1892, and on the same day in each succeeding year, there will be held a commemorative meeting at the Headquarters, at which extracts from the before-mentioned works will be read and brief addresses made by the Chairman of the meeting and others who may volunteer. 2. A dole of food will be given in her name to the poor fishermen of Adyar and their families. 3. The flag will be half-masted from sunrise until sunset, and the Convention Hall decorated with White Lotus flowers. 4. Members living outside Madras can arrange for their food by applying to the Recording Secretary at least one week in advance. 5. The undersigned recommends to all Sections and Branches throughout the world to meet annually on the anniversary day, and, in some simple, unsectarian, yet dignified way, avoiding all slavish adulation and empty compliments, express the general feeling of loving regard for her who brought us the chart of the climbing Path which leads to the summits of Knowledge. The celebration as described above is still held at Adyar to this day. At present, many Theosophical groups meet to celebrate the life and work of Mme. 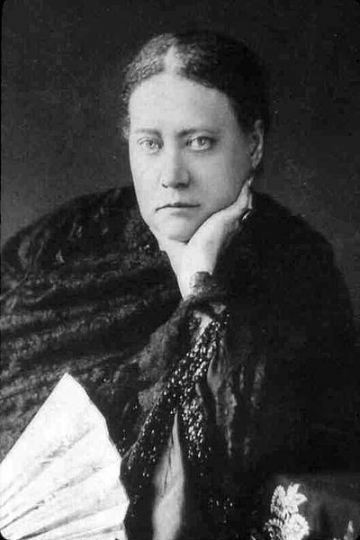 Blavatsky, reading from the texts she recommended, also including passages from her book The Voice of the Silence. The underlying idea in this symbol is very beautiful, and it shows, furthermore, its identical parentage in all the religious systems. 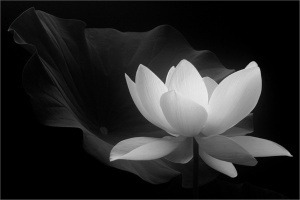 Whether in the lotus or water-lily shape it signifies one and the same philosophical idea—namely, the emanation of the objective from the subjective, divine Ideation passing from the abstract into the concrete or visible form. The Lotus, or Padma, is, moreover, a very ancient and favourite simile for the Kosmos itself, and also for man. The popular reasons given are, firstly, the fact just mentioned, that the Lotus-seed contains within itself a perfect miniature of the future plant, which typefies the fact that the spiritual prototypes of all things exist in the immaterial world before those things become materialised on Earth. Secondly, the fact that the Lotus plant grows up through the water, having its root in the Ilus, or mud, and spreading its flower in the air above. The Lotus thus typifies the life of man and also that of the Kosmos; for the Secret Doctrine teaches that the elements of both are the same, and that both are developing in the same direction. The root of the Lotus sunk in the mud represents material life, the stalk passing up through the water typifies existence in the astral world, and the flower floating on the water and opening to the sky is emblematical of spiritual being. As you concentrate on this Lotus symbol, growing from the soil of experience, ascending to its flower, imagine yourself as a great White Lotus with petal-powers extending in all directions. 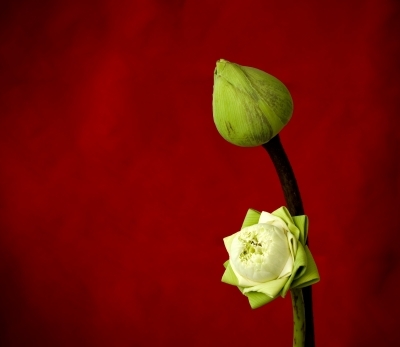 Already the seed is in you, the bud is slowly opening, and you are beginning the Flower, the dream that God has wrought. symbolizes Bodhi, the state of total mental purity and spiritual perfection, and the pacification of our nature. It generally has eight petals corresponding to the Noble Eightfold Path of the Good Law. It is the lotus found at the heart of the Garbhadhatu Mandala, being the womb or embryo of the world. It is characteristic of the esoteric sects, and the lotus of the Buddhas. In Tibetan Buddhism, the white lotus (Tib. 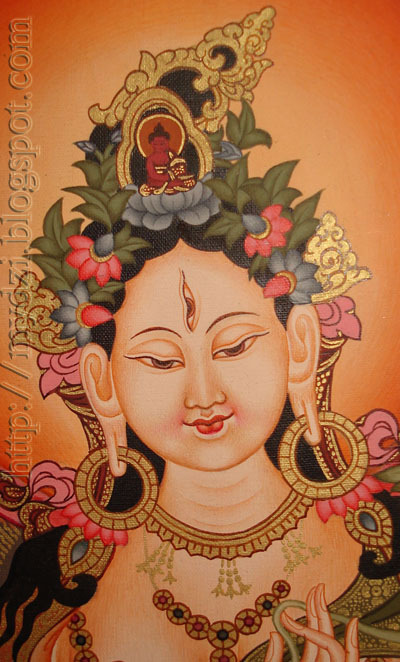 pad ma dkar po) is connected to the White Tara. 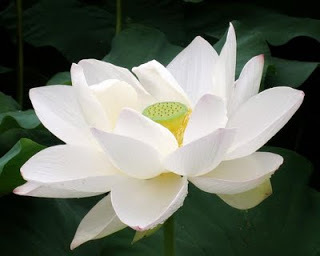 Perhaps the most enchanting flower with its unblemished pure white beauty, the white lotus is the most revered in the world, and is known as the ‘Womb of the world’. It is said to denote the purity of mind (Bodhi), the calmness and serenity of human nature, and spiritual perfection. The white lotus is associated with the female representation of Buddha, which is goddess White Tara, as it aptly describes her nature. 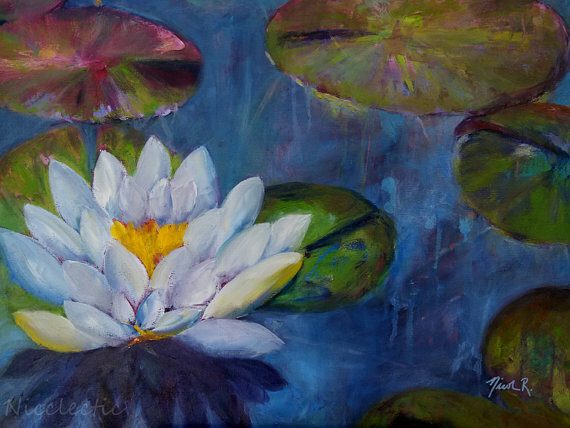 In an ancient Indian text, the white lotus is described as: The white lotus, born in the water and grown in the water, rises beyond the water and remains unsoiled by the water. Thus, monks, the [Buddha], born in the world, grown up in the world, after having conquered the world, remains unsoiled by the world. In Hinduism the white Lotus flower (known in Sanskrit as puṇḍarīka) is a symbol of beauty and the state of non-attachment. 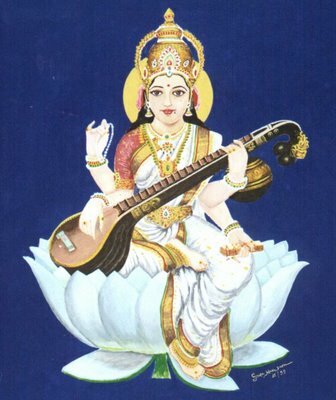 It is also associated with Sarasvatī, the Goddess of Wisdom, who is frequently depicted seated on a white lotus. This entry was posted in Uncategorized and tagged Adyar, Bhagavad Gita, Edwin Arnold Light of Asia, Helena P. Blavatsky, May 8th White Lotus Day, Nancy Bragin, Theosophical Society, Theosophy. Bookmark the permalink.